FunctionKing-fai Tam, Ph.D. from Princeton University, USA. Associate Professor of Chinese Studies at The Hong Kong Polytechnic University, China. How do non-combatants of two countries that are at war relate to each other? Is it possible to relate to one’s enemy in a non-antagonistic way? This project will answer these questions by looking at the occupied and the occupiers in Hong Kong and Singapore during the Japanese occupation in World War II. 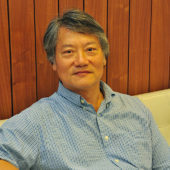 The project will make use of oral history resources that came to light in the last 20 years or so to study a facet of the war experience that has not received full scholarly attention, namely, the non-combative interactions between the occupied and the occupier in Japanese-occupied Hong Kong and Singapore in World War II. Accounts of war have tended to focus on the antagonistic relationship between people of countries at war with each other. This project, instead, will look at such relationships as those between teachers and students, landlords and tenants, service personnel and customers, supervisors and subordinates, colleagues, business partners, lovers, and strangers. It will use video and audio recording of the interviews rather than relying only on written transcripts.